For many home child care providers, word of mouth is how their businesses are built. Tell your friends and family you’re opening up a home daycare, tell them to tell their friends and family, and in a little while, you’ve got a handful of kiddos in your home. But what happens when you’ve asked everyone and can’t find any more children to enrol? And what are some ways for you to give better peace of mind to potential clients that your center is the real deal? A home daycare website is the best way to market your business online, allowing parents to find you and evaluate whether they’d like to sign their kiddo up at your center. You’d be surprised how often this happens before they even pick up the phone to speak with you! In this guide, we’ll go over how to set up your very own website and get discovered online through a bit of social media marketing and search engine optimization. This may sound like a bunch of technical gobbledygook that you won’t be able to do on your own, but believe me: it’s much easier than you think! There are many online tools designed to make this super simple, and in this post, we’ll point you in the right direction. If you set aside a few hours, you can have a beautiful website that gives your business the marketability it deserves! Follow along to see how it’s done. There are many website builders out there to choose from. Deciding which one is best for you really depends on how comfortable you are with building a website and how advanced your needs are. As a home daycare provider, chances are your website needs are fairly simple. You also probably don’t want to worry about choosing a hosting provider (where your files are stored online and where people access them). Therefore, it’s best to choose a one-stop-shop that handles website creation and hosting, and provides ongoing support for both. Here are a few easy-to-use website builders for beginners for you to check out. Some things to keep in mind as you evaluate are price, templates available and customer support. It’s impossible to say which one is the best, as what it really comes down to is how easy you personally find it to use their software. Squarespace offers a free 14-day trial, while Wix and Weebly have free options and begin charging once you connect a domain name (e.g. www.yourbusiness.com), so when you’re getting started, try creating an account and playing around, and you’ll soon discover which one you enjoy using the most. For the rest of this post, we’ll be using Wix to edit our sample website, but it’s a good idea to play around with different options to make sure you’re choosing the service that you like the most! There’s a lot of psychology and design expertise that goes into creating a website. Fortunately, this has all been figured out for you! These days, all you need to do is find a website template for you to begin working off of. 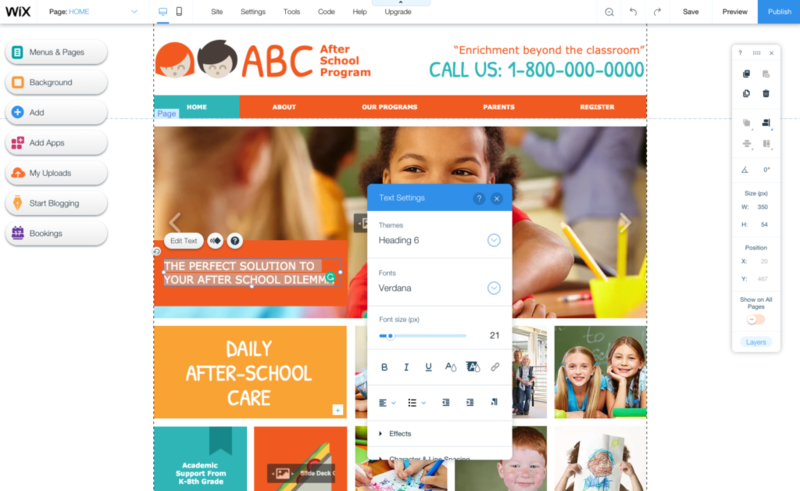 All you’ll need to do is replace the words, images and colors from the template with whatever you’d like to say about your child care center. At this stage, don’t worry too much about finding a template that has sections that perfectly match what you’d like to have on your own website (we’ll go over this in more detail later in the post). For now, just look for something that you think looks nice and you can work with. 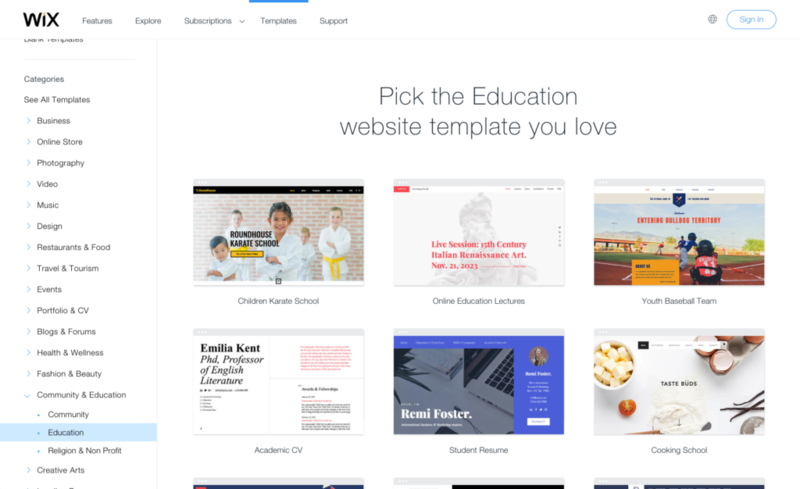 Example of education website templates from Wix. The services included in this post all let you filter templates based on how you intend on using them. 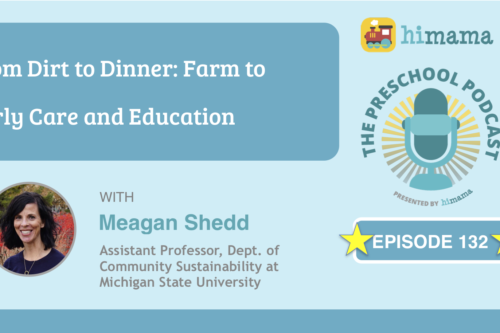 While you may not find a “home daycare” template, you can find something pretty close by looking at that they have in their “education” categories. Once you’ve selected the template you’d like to edit, it’s now time to make it your own. A good place to start is with the sections you would like to have on your website. It can be easy to go overboard here and make more sections than you need, so try to limit this to the most important information that visitors to your website will need. Whenever possible, try to combine sections if they are too similar to one another. Home – The main page visitors are greeted with that provides them with a general overview of your business. 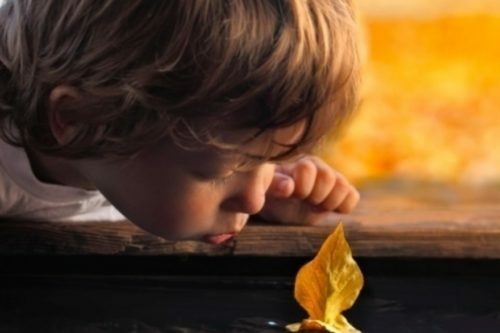 About – A more detailed description of who you are, your approach to child care, why you started your business, your past experience, and anything else that is fundamental for your center. Programs – Whether you offer one or several programs, this is where you’ll advertise what services your center provides. It is up to you whether to include pricing on this page or save that until after you have first spoken with parents. Parents – Provide parents with resources that will help them so you don’t keep being asked the same questions over and over again. This can be things like payment schedules, policies, and application forms. Updates – What is going on lately at your center that parents need to know about? 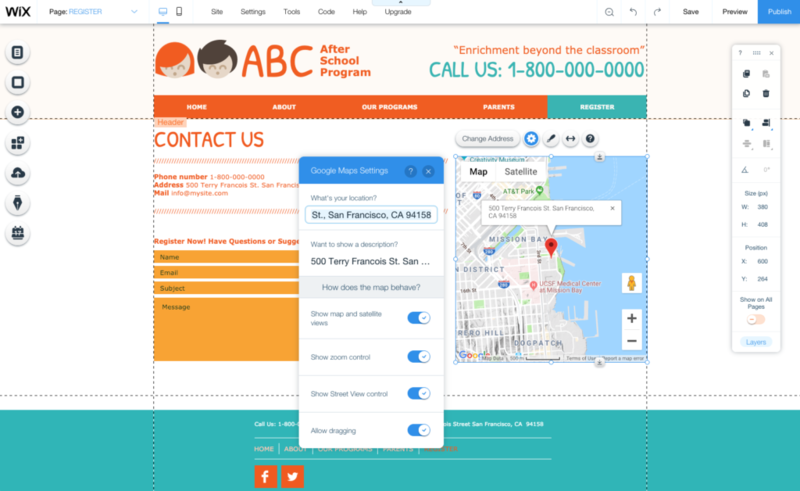 Contact – After your website has done an excellent job of convincing parents that your center is the best option for their child, provide a form and/or telephone number for them to get in touch with you. Editing sections of a website. At this stage of creating your website, really think about how you will be using your website in the future. For instance, if you only update parents through an app or email, then it may not make sense to have an Updates section. You don’t want people going to a section that has nothing going on or is out of date. Now that you have your sections figured out, it’s time to update the content. If you’ve chosen a template that’s related to home daycares, it should do a good job of guiding you along with what type of content to update in each section; if not, you may need to get a little creative. Editing a home daycare website. As you go through each section, explore the additional content types that your website editor has available. 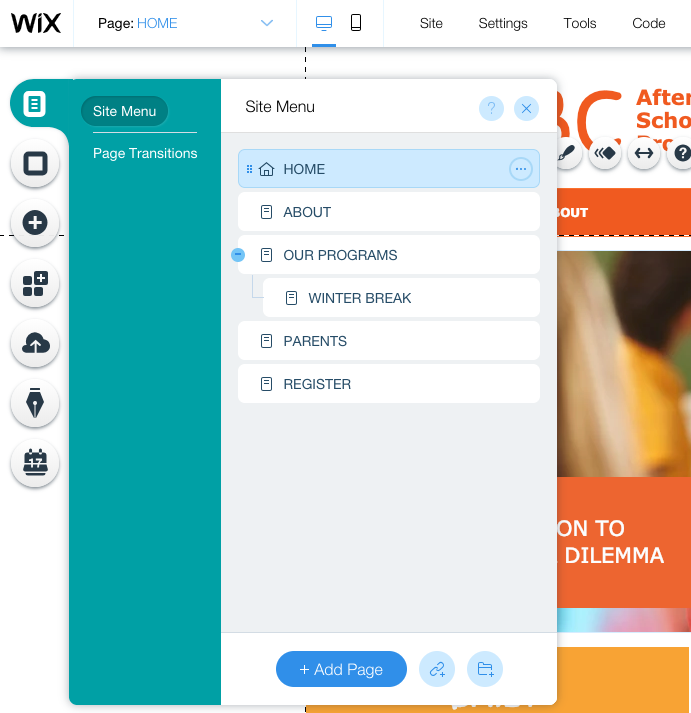 Wix, for example, has a lot of different options including image galleries, maps, music players, contact forms, social media feeds, and dozens more. Editing a map address widget. People will be visiting your website on everything from a huge 4k desktop monitor to a tiny smartphone, and you’ll want your website to look great everywhere. In your website editor, select the option to see what the page looks like on mobile devices. Chances are that while you were editing the desktop version, things got moved around and don’t look exactly right on mobile. Move things around and resize accordingly so that your content looks great here as well. Some website editors even let you hide certain things on your page on mobile devices if they don’t really need to be there. Although technically you can just add your center’s name to the top of your website as text, it is a good idea at this point to design a logo. This will help to establish your business as a brand, which you can use in other places like your physical location, t-shirts, business cards, social media, and anywhere else you want to draw attention to your business. You can pay a graphic designer to help come up with a logo, or you can try using a free online logo maker. Many website builders have logo builders that will automatically create different options based on your selections. They’re not always perfect, but it’s an easy (and free!) way to come up with something that’s a bit nicer than just plain text. Example of an automated online logo designer for home daycares. By default, your website builder will give you a URL like username.sitebuilder.com/sitename. Obviously, this is not very professional or easy to remember, so you’ll want to register a custom domain name like abcdaycare.com. Most site builders will offer the ability to purchase a domain name through them, and they may even include it with your subscription. If this is the case, go ahead and register through them. Searching for a domain name. Contact the site owner — If it is an abandoned website, they may be willing to transfer it over to you. In most cases, however, they may want a hefty sum of money now that they know someone else is interested in it. Never hurts to ask, though! 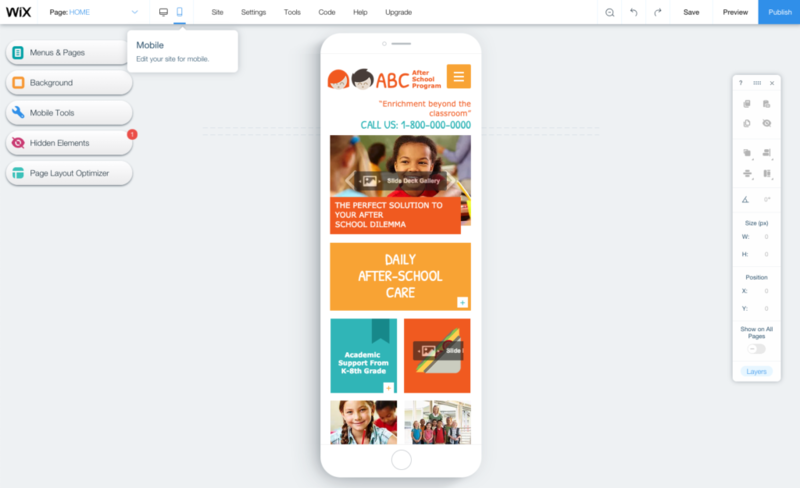 Remove words — myhomedaycare.com may not be available, but maybe myhome.com is. 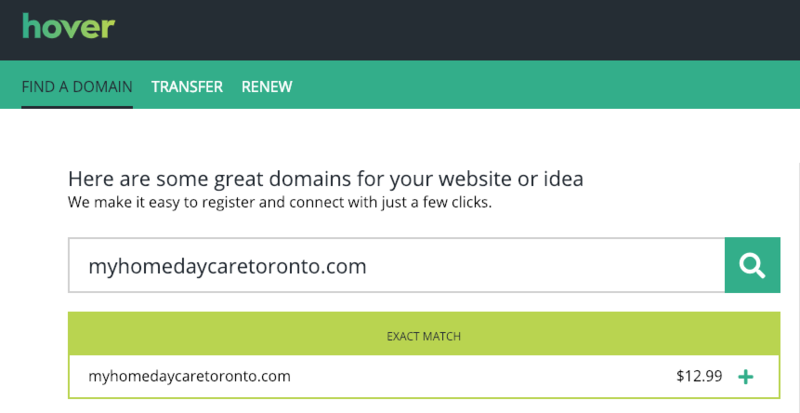 Add words — You could try adding a descriptor word or your location to the domain name, like myhomedaycaretoronto.com or myhomedaycarecenter.com. Use a different top-level domain (TLD) — In addition to .com, there are hundreds of other TLDs to choose from. These can be related to location (e.g. .ca for Canada) or industry/organization type (e.g. .center). Note that some TLDs cost more than others, and your website provider may not offer all of the ones that are available. If this is the case, you can always register your domain name somewhere else (like Hover) and connect it to your website, although this will cost extra. Whenever you’re looking for something online, chances are you start off on Google. Search engine optimization (or SEO) is just a fancy way of saying making your website look good for search engines so that they choose your website when showing results for people’s searches. 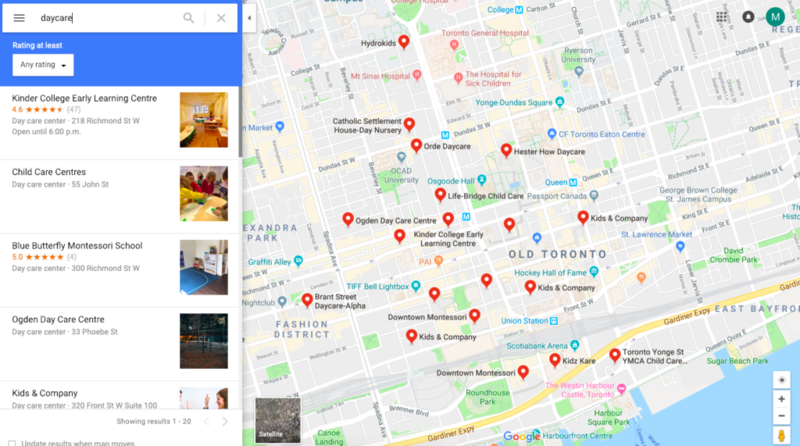 This will present your business on Google Maps, which is where many parents begin their search in order to find centers that are close to their home. You will also be able to collect reviews from happy customers on your business page, which many people rely on when evaluating centers. Business listings on a map. For each page on your site, add a meta description. This is a short sentence that explains what can be found on your page and will give searchers more reason to click on your listing. The more clicks you get in search results, the higher your website will rank over time. If you don’t use a meta description, Google will just grab whatever it thinks it should use from your page, which might not always be the best option. Example of a website using a meta description. Google pays attention to how quickly people go back to search results after visiting your page. If they click on your listing and then go back to see more search results after 3 seconds, that’s a sign that they haven’t found what they were looking for. So, make sure that what is presented on your page is what visitors are looking for. Also, don’t go overboard with large images and dozens of widgets on every page that will make the website take a long time to load, as fast-loading websites are important for SEO (no one wants to wait 15 seconds for a website to show up). Use keywords that people searching for your website are likely to use when finding your site. 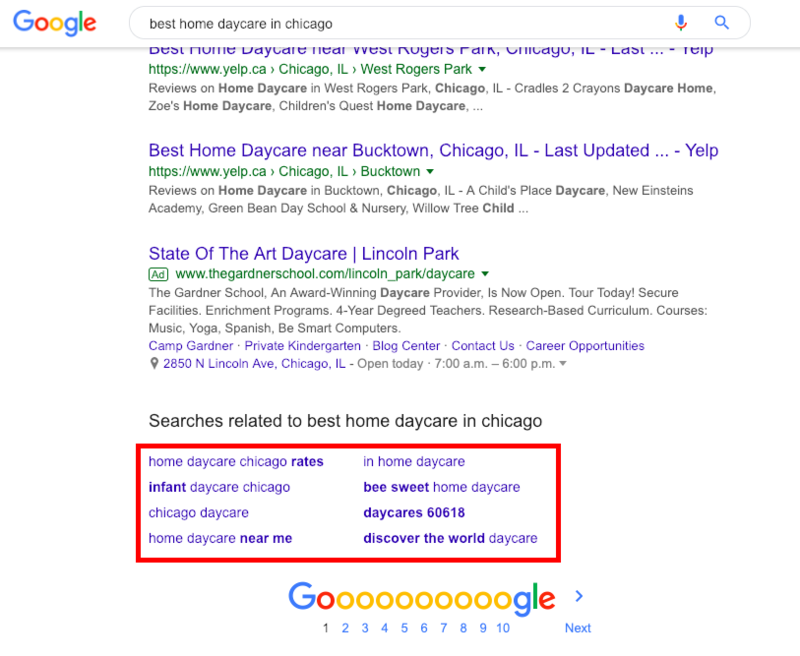 For instance, if you expect people to type “best home daycare in Chicago” then include those words on your website. Just make sure that you don’t go overboard with those keywords, and only use them when they work naturally. If you need help thinking of keywords, you can try doing a Google search for what you think are good keywords and then look at the related searches. These won’t all be the best fit for your site, but there will likely be some options that you may not have initially considered. If other great websites are linking to your site, then Google considers that to be a sign that you’re credible and they can send traffic your way. Find other websites that have a reason to link to your website and reach out to them to see if they’ll link to you. 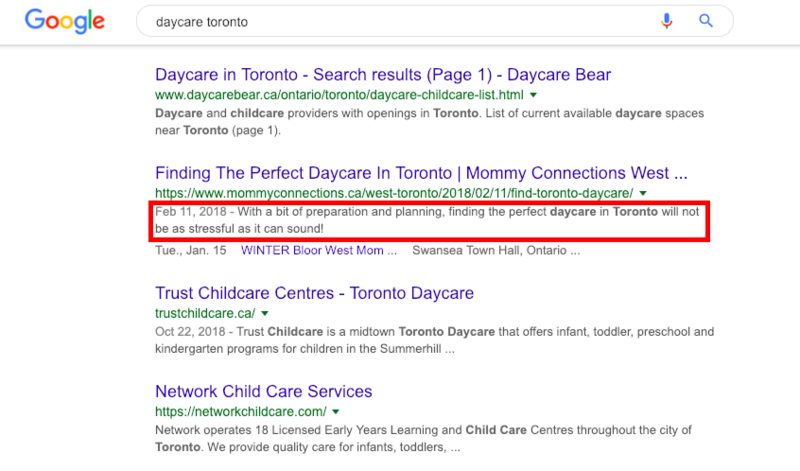 Perhaps there are lists of the best daycares in your city, or there may even be directories that you can submit your site to. 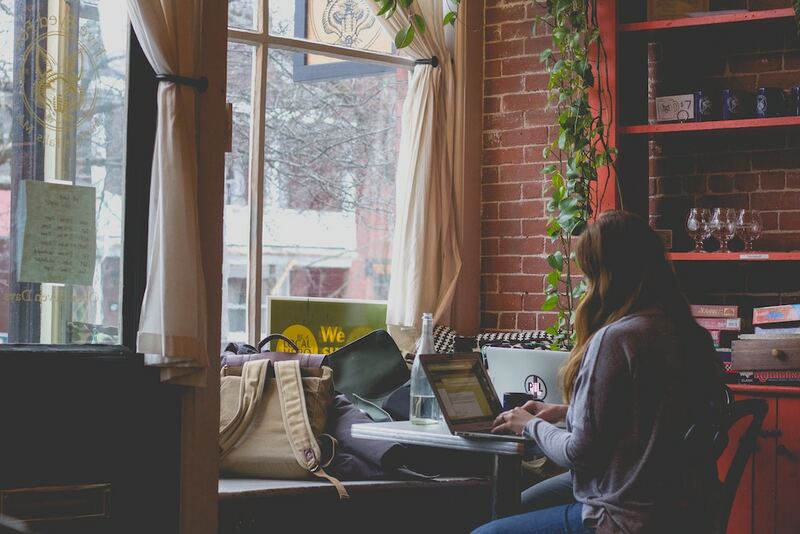 If you’re feeling extra ambitious, you can write a guest post for a blog and link to your website within the post. Now that you have a shiny new website, promote it to your network! Chances are you already have social media accounts, but if not, now is a great time to create them. You can even use that beautiful logo you created earlier! Include a link to your website in your profiles so that if anyone ever wants to learn more about your business, they’ve got a great source of information to discover everything they need to know. 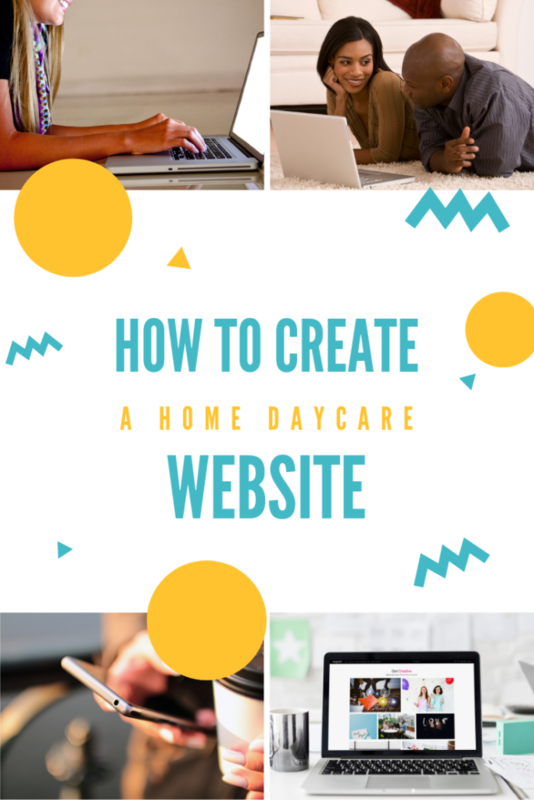 With a little bit of patience and experimentation, you’ll be well on your way to creating a beautiful website for your home daycare that will help you get more kiddos for your child care center. Once your site is up and live, share it with us in the comments!